Jabotinsky, 1923: We must either suspend our settlement efforts or continue them without paying attention to the mood of the natives. In 1923, Zionist leader Ze’ev Jabotinsky wrote “The Ethics of The Iron Wall,” a timeless document which simply and rightfully argues that morality comes before everything else – and along with that the simple concept that Zionism is "moral and just." He continues, “And the Talmud quotes a very instructive legal action – which has a direct bearing on this matter. Two people walking along the road find a piece of cloth. One of them says: 'I found it. It is mine:' But the other says: 'No: that is not true: I found the cloth, and it is mine:' The judge to whom they appeal cuts the cloth in two, and each of these obstinate folk gets half. But there is another version of this action. It is only one of the two claimants who is obstinate: the other, on the contrary, has determined to make the world wonder at this magnanimity. So he says: 'We both found the cloth, and therefore I ask only a half of it, because the second belongs to B But B. insists that he found it, and that he alone is entitled to it. " Israel and the Jewish people live. 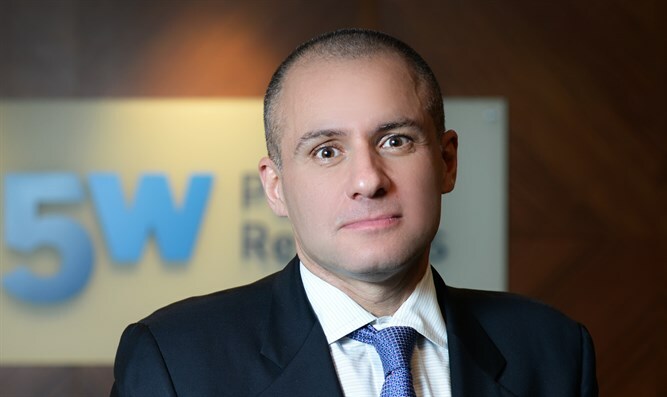 Ronn Torossian is one of the foremost Public Relations executives in the world – and a lifelong follower of Ze’ev Jabotinsky.